Building and maintaining a pipeline can be a demanding, sometimes dangerous, job. Crews work with hazardous materials and heavy equipment, and mishaps on a job site can lead to losses in revenue, injuries or even fatalities. Use the appropriate protective equipment – This means any clothing or apparatuses designed to keep you safe from injury. Pipeline workers should always wear hardhats, gloves, safety boots and ear and eye protection.In that interview, he shared a few pipeline safety tips you can follow to protect you and your crew: There is also the risk that comes from having untrained workers, as well as pressure to “get the job done,” Caterpillar’s Dan Macholan told Oil & Gas Technology in 2012. Before performing any excavations, be sure to verify that you’ve marked any underground utilities. Make sure you’ve conducted a thorough, competent inspection of the trench for proper benching or sloping, and make sure protective systems are in place. Take care to avoid slips and trips. Make sure walkways are clear of tools and debris, and clean spills as soon as they happen. Have all equipment operators read and understand the operation/maintenance manuals of all the machinery on your job site. Anyone who steps into a machine should have a clear understanding of the controls and proper operating procedures. You can prevent back and eye injuries by using the appropriate protective gear, and by engaging in safe work practices. Choose eye protection based on the types of hazards that might arise on the job, and do not touch your eyes unless you’ve first washed your hands. Protect your hands by wearing the appropriate gloves for your job. When using torque wrenches for industrial construction, it’s important to have them inspected before every use. 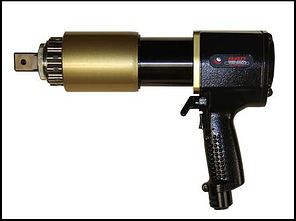 Torque wrenches – and all other tools —should be checked for cracks, leaks and excessive wear. Proper load handling while handling pipes and other heavy loads will ensure everyone’s safety. Stick to the manufacturer’s load requirements, and do not load equipment beyond its capacity. Before each shift begins, identify each of that day’s tasks. Take note of any possible hazards and the steps you’ll need to take to avoid them. Maxpro knows the value of torque tools in pipeline maintenance, and of having accurate, reliable torque wrenches for industrial construction. We are the country’s leading distributor of RAD torque tools, which are prized in the pipeline industry for their speed and accuracy. All our equipment is calibrated to ISO/IEC 17025 standards at our A2LA-accredited lab, allowing you to know you are working with reliable tools and giving you another measure of safety on the job.